SPAW is a volunteer organisation. We rely heavily on unique people who invest personal time co-ordinating our trips, dealing with the organisations administration, fundraising and events, and our vet and vet nurse professionals. We have done alot of work to ensure our volunteers are provided the best experience and the red tape associated with volunteering on islands is handled by us with many years experience in arranging field clinics on islands. We have spent a great deal of time and energy building relationships on the islands we help, we have secured excellent donor partners and have many supporters both in NZ and on our island locations, to help make these trips possible. Your volunteer fee covers many things associated with ensuring a comfortable and smooth volunteer experience, and it also contributes to our administration costs – we receive no government funding and raise all of the money required to purchase the drugs and provisions required to operate on islands. Without SPAWs background work and ongoing relationship management with our on island partners, volunteering as an individual is difficult and costly. We take the hassle away for you and offer you an opportunity to experience vet care and animal aid in the pacific islands. SPAW provisions all veterinary requirements for our clinic activity – this hassle is taken away from you. Sometimes our volunteers chose to donate additional supplies and we welcome this. Each island is different and we have set fees for the volunteer experience but can range from $600.00NZ to $800.00NZ. You are responsible for booking your own flights and provisioning for your meals. This keeps the overall cost of your volunteer experience down and allows you flexibility. Flight costs vary and volunteers who book well in advance will get the best rates! Flights into pacific islands vary from country to country. We recommend you research what path suits your time-frame and budget accordingly. 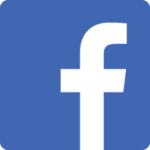 We can also offer suggestions – you simply need to ask. We recommend $30.00NZ to cover your basic costs such as breakfast cereal, packed lunch and bottled water. Leisure and entertainment (eating out, diving, local tours and activities) are additional and you will need to research the island location you are visiting to gain an understanding of what things cost. You can transport much of what you need (food and sundry items) with you depending on the island location you are volunteering on and our admin team can provide further information on this leading up to your trip. There is more detailed information about volunteering on our website. Applying is straight forward. Simply email volunteer@spaw.org.nz – your enquiry is logged and you will be sent our application form. From here, we review your application and you will be advised relatively quickly if you have been accepted. At that point, we send you all the relevant documentation associated with becoming a SPAW volunteer. 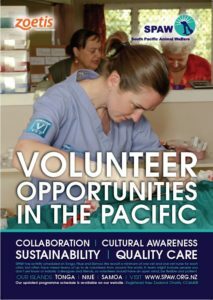 Volunteering in the pacific allows vets and vet nurses or vet techs to take their knowledge and experience to exotic, beautiful yet challenging environments where your skills and expertise is not the norm. A volunteer experience with SPAW is a chance to give a little (or a lot) of yourself to those countries in desperate need of your help – a chance to help animals and people living in developing nations – you will be at the coalface of grass roots veterinary care. The level of care SPAW delivers is mainly for dog and cat populations. De-sexing and basic medicine and preventive care is our focus so small animal vets and vet nurses are needed for all of our programmes. There are also opportunities to help with large animal medicine and our clinics provide opportunities to adapt your knowledge in order to provide often life saving interventions for animals with a varied array of diseases and injuries. It can certainly get interesting! As an organisation our philosophy is to work collaboratively with local people, taking a handson approach to our work. We will often be asked to provide skills development to locals allowing our volunteers to gain first-hand experience in training and developing the skills of technicians in their native land. It will be enormously satisfying (and eye-opening) for you to work in remote island villages where veterinary care has previously been minimal or non-existent. You will start to build an appreciation and empathy amongst the locals about better caring for the animals around them in a way they have not previously known.More often than not locals respond very well to our visiting teams and are eager to learn and see their animals cared for. Clinic work can be intense and is most definitely challenging. Our field clinics function without the usual western resources however working through problems and adapting to the island surroundings appeals to those adventurous types who love a challenge. You will have a lot of fun with other volunteers and locals – vets and vet nurses who love to solve problems or aspire to a challenge will be in their element. days is easy for you!